October has been a very busy month; the news world is in a tizzy with the presidential debates, continued drama over the European debt crisis and the “return of the housing market”! As usual the media chooses to bombard the public with facts and figures and it is our quest to break down the flood of information into bite size chunks. Nationally housing starts increased 15% in September to their fastest pace in more than four years. Building permits, a sign of future construction, increased by more than 11%, also above expectations. These are both signs that the housing sector’s recovery is gaining some momentum. Florida witnessed a drastic drop in their DOM (days on market) data as reported by the Florida Realtors organization. On average single family homes now remain on the market for 59 days; a decrease of 18.1% from a year ago. Likewise condominiums and townhomes now average 61 days on the market a decrease of 16.4% from a year ago. Real estate in Naples is shifting with inventory levels dropping 12 percent and pending sales increasing by the same rate it is inevitable that the median price would increase. What is surprising is that the median price would increase by 10 percent (to $192,000) which points to the pent up demand that has been brewing since our market bottomed out. In our previous blog post we referenced how the naples florida property market is no longer a seasonal market in large part due to the unprecedented number of sales that occurred during our traditionally slow summer season. Naples attracts buyers from all over the world who want to live here but do not necessarily need to live here. Buyers who are local full time residents that wanted to buy a year ago were faced with financing restrictions that have now eased. The coupling demand of seasonal and full time buyer demand in Naples is evident in the reported statistics. The locals like to refer to our busy time of the year as “the season” which coincides with the brutal winter months that take over the states north of the Mason Dixon line. Season this year has come several months early and with Halloween around the corner we may just see adults trick or treating as well. Though they won’t be pleading for candy but instead may be asking if the owner’s house is for sale. Stranger things have happened on the eve of a harvest moon! 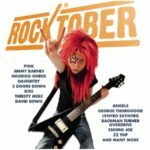 Prev:Its RockTober And Naples Properties Are On The Move!